Little Studio Films’ “STEALING ROSES” written and directed by Megan Johnson released on DVD this week! “Stealing Roses,” a film right out of the health coverage debacle headlines from writer/director Megan Clare Johnson, produced by Johnson and Little Studio Films, will be in official competition at the NOHO Film Festival, April 10-13, 2014 just prior to its wide US DVD release. PRLog (Press Release) – Apr. 3, 2014 – LOS ANGELES, Calif. — “Stealing Roses,” a new comedy with heart from writer/director Megan Clare Johnson, produced by Johnson and Yacovlef and Melocchi’s Little Studio Films will be in official competition at the NOHO Film Festival, April 10-13, 2014 just prior to its US DVD release on April 22, 2014. 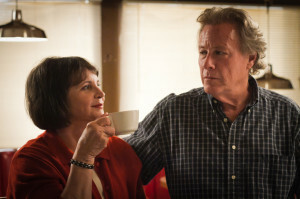 Stealing Roses, which was filmed in Los Angeles and Portland, Oregon, stars veteran actors John Heard, Cindy Williams, Oscar Nominated Bruce Davison, Josie Davis, Mark Famiglietti and “House of Cards” Al Sapienza. “Stealing Roses” turns the spotlight on a serious subject torn from today’s headlines – the lack of adequate medical coverage for millions of people in desperate need – in a laugh-filled yet thoughtful way. “Stealing Roses” has international distribution representation by Worldwide Film Entertainment and is already released in several other countries, including Australia. The film will screen on Saturday April 12, at 8 PM. Megan Clare Johnson and her producer, Alexia Melocchi and selected cast members will be in attendance and will participate in an audience Q&A immediately following the screening.